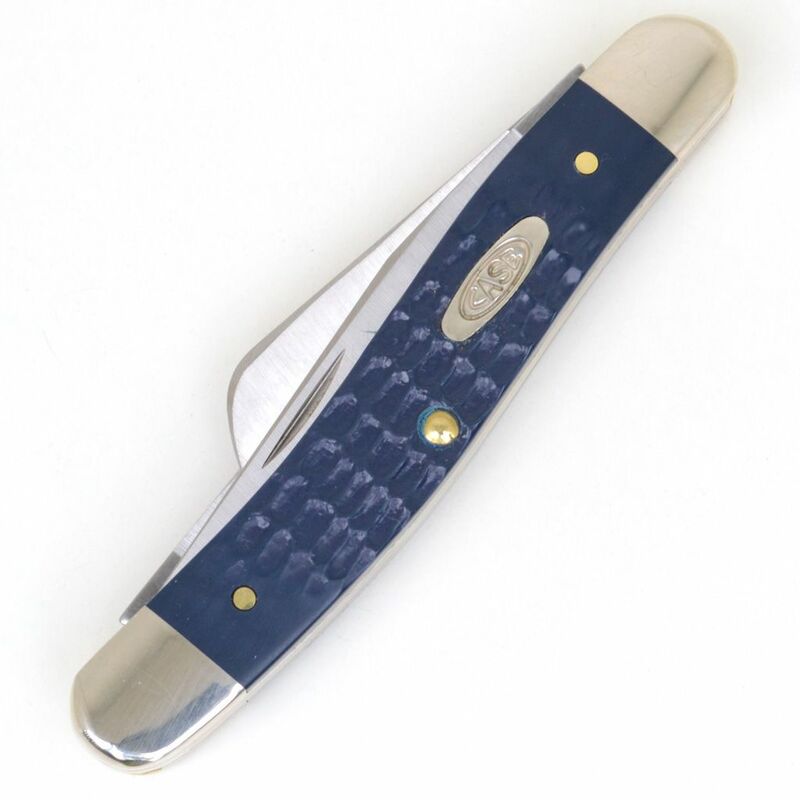 Case Knives, American Workman Series, 3 blade, medium stockman, folding pocket knife, CA13005, made in USA. Measures 9 cm (3.5 inches) closed, stainless steel, 7 cm (2.8 inches) main blade, 5 cm (2 inches) sheep foot and spey pocket knife blades. Jigged, blue synthetic handle. 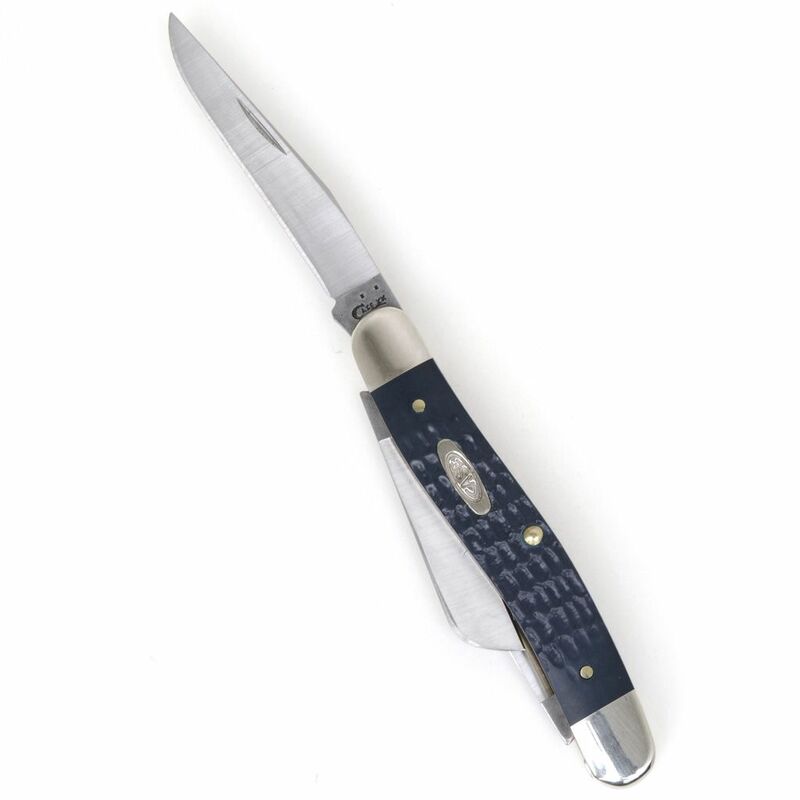 Matte finish, Tru-Sharp, surgical stainless blades, nickel silver bolsters. 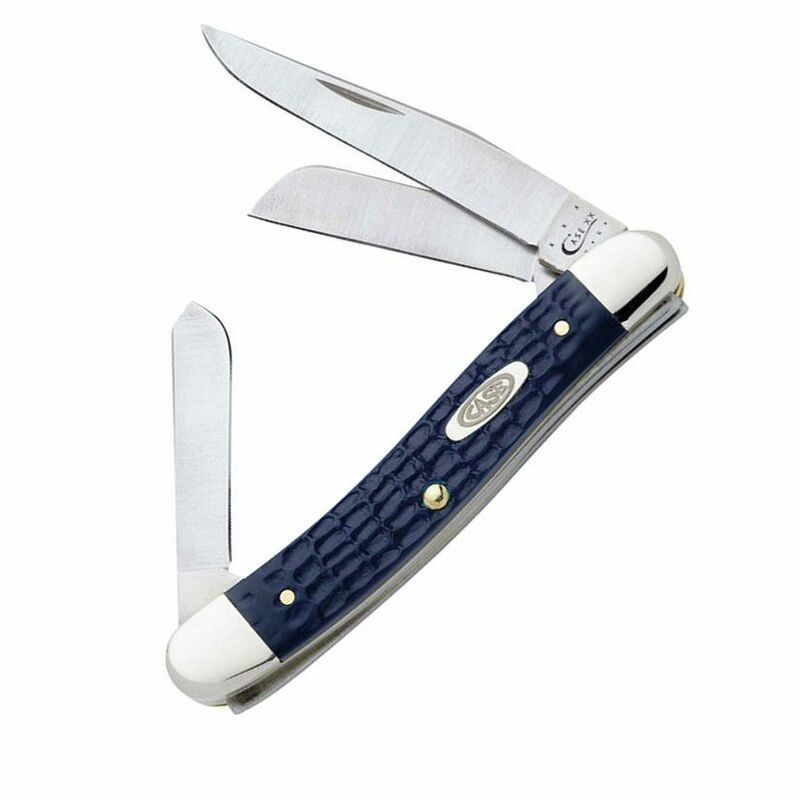 The more economical, Case American Workman series folding folding knives have an unpolished blade with visible grind lines. 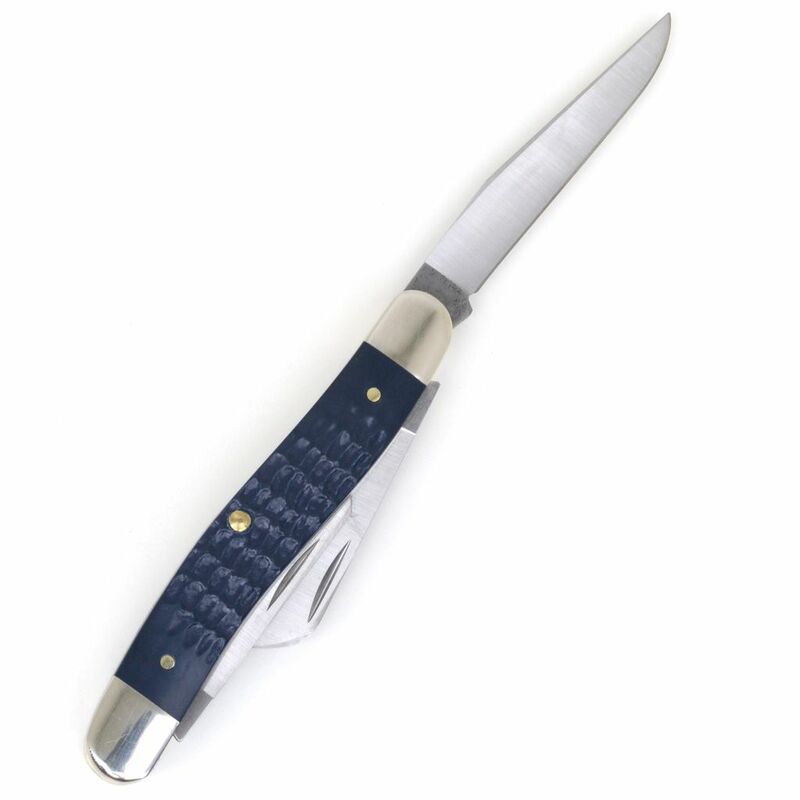 The back springs, bolsters and handle scales also have a lower grade finish. The handle scale material is a basic jigged, synthetic compound. 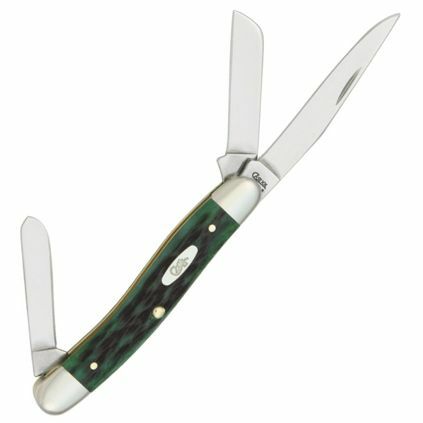 Reduced final polishing and less exotic handle materials means Case American Workman series folding knives have a lower price tag.